What do the words "Food & Nutrition" make you think about? Do you visualize the USDA food pyramid taught back in grade school? Do you think about all of the "low fat" foods and diet microwave meals at the grocery store? Do you consider fat as unhealthy foods and skinny as healthy? That is common! We are conditioned to think this way, but as experts educate more on the ins and out of good health, the reality is that there is not a one size fits all plan for health depending on habits and heredity. So, we are learning that fats can be healthy, the pyramid doesn't work for everyone and those "diet" labels hide chemicals that no one should eat! It's really is hard to determine which are in fact the most nutritious and healthy foods in this day and age; especially since obesity and so many diseases are attributed to the USDA approved foods we that we eat. Lets not forget all of the fast food restaurants that are spread from the United States and throughout the world. Those types of convenience foods also make it really hard to stick to lifestyle changes that will help you become your healthiest especially when a great portion of what we have available are genetically engineered and genetically modified foods (GMOs); foods grown with insecticides, pesticides, herbicides, fungicides; and we are being being over fed sugar in so many different forms, as well as artificial sweeteners, soy lecithin, fats and processed foods? There is no special Skinny Body Max or Skinny Fiber Diet or suggested foods, shakes or diet plans while doing the weight loss challenge with me. It really is to your benefits to learn which are really healthy foods and have the best nutritional value. Eating clean foods, adopting certain lifestyle changes and sticking to them can benefit your entire family; especially the children (whether your kids or cousins, nieces, nephews, etc). Use the following information to get started! Healthy Recipes, Meal Plans, Family Health Tips? "Let food be thy medicine and medicine be thy food!" While embarking on any weight loss journey, it becomes apparent that one must have a better understanding of which foods are best to eat for optimal nutrition, as well as how they work in our bodies. It is really not as cut and dry as just eating vegetables for the rest of your life or cutting all fats from your diet. 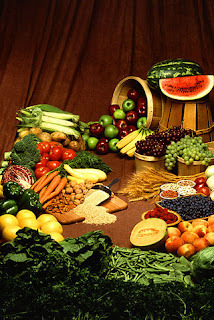 Each food that enters your body should have some nutritional value that works with the other, else it is useless to us. Some foods that we think are healthy are really not necessary for our bodies (American cheese, fruit snacks, etc). On the other hand, some foods that are extremely nutritious could make you gain weight if not consumed in moderation (avacodos, meats, bananas, sprouted bread, wheat noodles, etc). With this all in mind, when thinking Food & Nutrition, you may want to include how foods are grown and distributed, how foods are combined for meals, how foods are prepared (raw or cooked) and how the body processes foods to any future visualizations. Being your healthiest starts with what you put into your body each day, as well as the exercise, psychological and emotional states we permit for ourselves. I have started a collection of articles on these subjects which you can access by scrolling down to the posts on the HOMEPAGE of this blog or by using the search box at the top of any page. Please make sure to SUBSCRIBE TO THIS BLOG so that you get the new articles and recipes as they are posted :) Join us at the connecting social networks for even more recipes and health tips, too!!! Wishing you much success in your weight loss / healthy lifestyle journey! ADD ME AS A FRIEND on Facebook for more healthy recipes, motivation, fitness, health and weight loss tips!